The rest are merely games." Brian Walsh on our first big wall, Yosemite's Washington Column, which required three days and two nights. 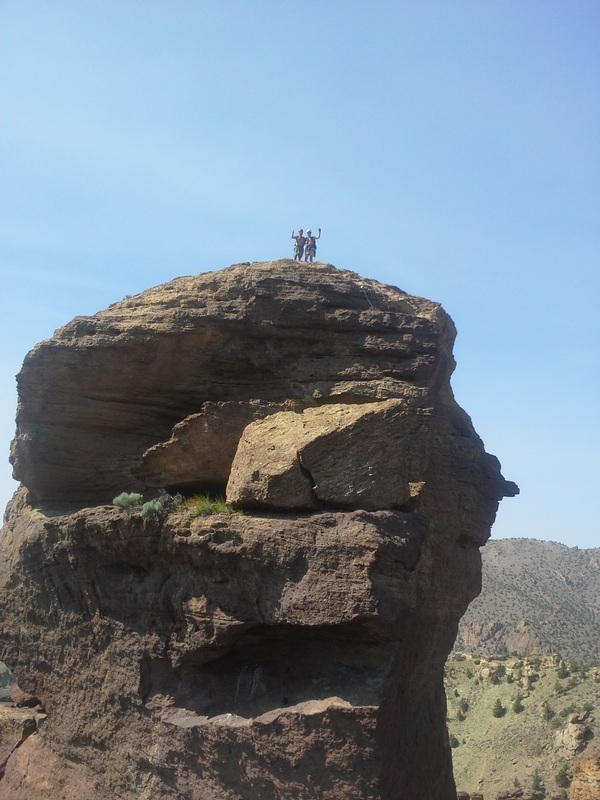 This shot shows him 400 feet off of the ground, swimming in a sea of granite. Half Dome is prominently in the background. Mountain climbing in all of its forms is about physical challenges, problem solving, and placing yourself at a unique vantage to observe the natural world. I find the activity so compelling that it is difficult to describe it well in words. 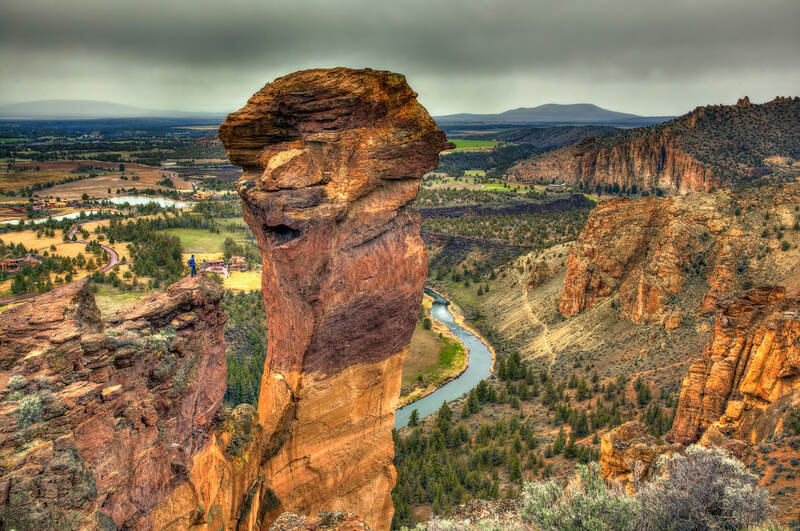 John negotiating the aptly named "Panic-point" pitch 350 feet (106 m) above the desert floor on a free standing monolith called the Monkey's Face in Smith Rock State Park. WIthout a doubt, the most outrageous form of rock climbing is big wall climbing, or scalling the largest rock faces in the world over a period of days, even weeks. While most climbers engage their sport barely a rope-length above the ground, big wall climbers cut the tether to earth and become granite astronauts. 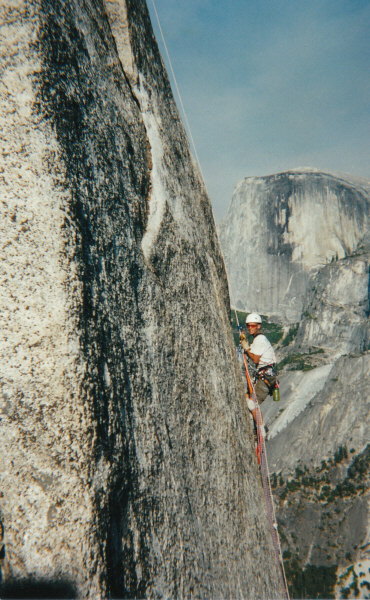 Yosemite's El Capitan: the stone of dreams and nightmares for the world's big wall climbers. 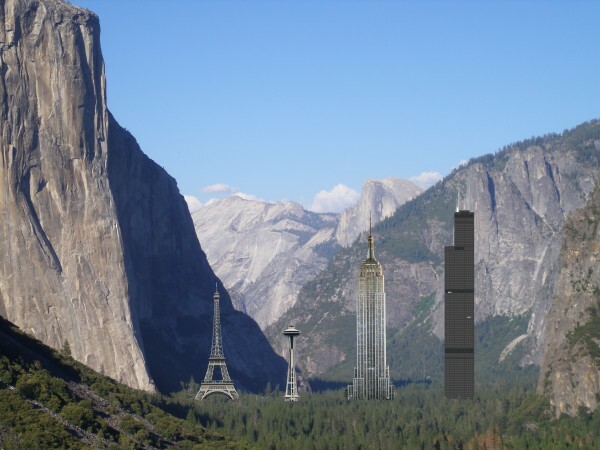 Great scale comparison of El Cap to giant structures. 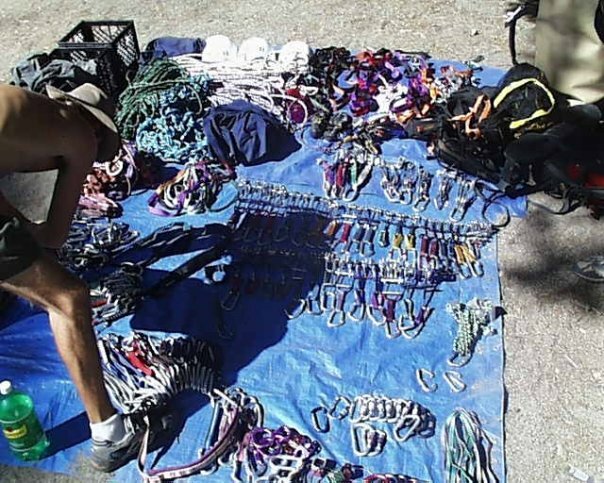 Gear definitely doesn't make the climber, but big walls require a ton of it! The Simpson children demonstrate three-person big wall climbing techniques (Illustration by Mike Clelland). This video records two climbs done with Brian Walsh and Chris Neukom. 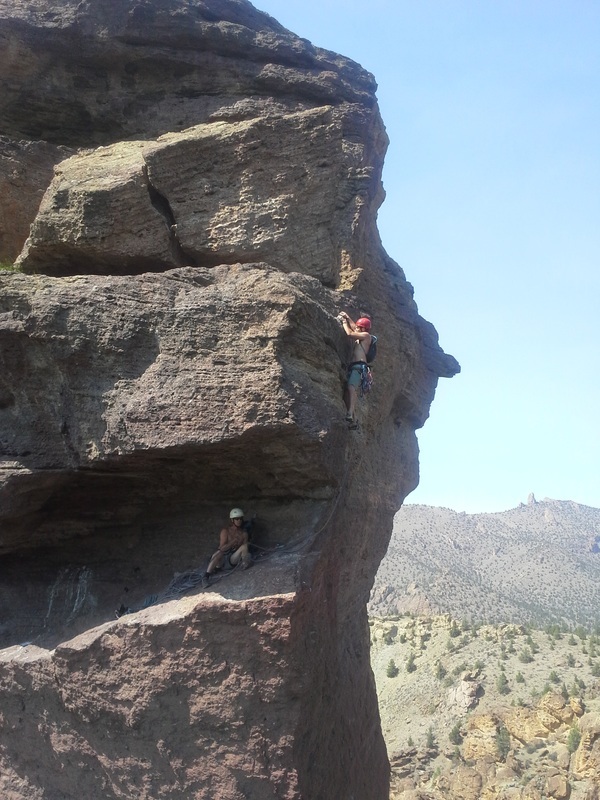 The first route is a warm up on the Third Flatiron in Boulder, Colorado. The second route is the Keyhole Ridge on Long’s Peak (elevation 14,255 feet/4,344m) in Rocky Mountain National Park. The latter was a 20-hour endeavor requiring 15 miles (24km) of hiking, 5,100 feet (1,554m) of elevation gain, and eight pitches of roped climbing. We got caught in a bad thunderstorm with hail on the descent at around 13,000 feet. Between the three of us, we now have a total of seven assents of Long’s peak. The peak is just that good!